The Karoo means different things to different people. 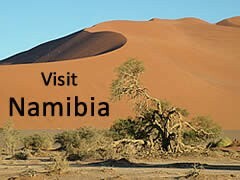 To geologists it is an ancient formation of largely sedimentary deposits covering much of south east South Africa. 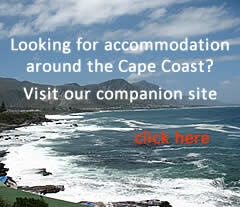 For the purposes of this site we have used the term loosely to mean the interior of the old Cape Province. 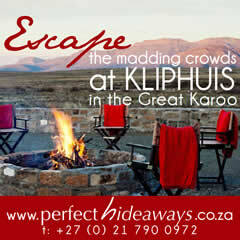 Others see the Karoo as a huge, hot and arid empty space they need to cross to get somewhere else. This is an unfortunate perception as the Karoo encapsulates much of what is unique to South Africa. 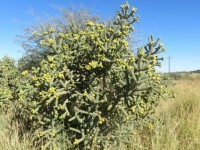 Bushveld and savannah can been seen elsewhere in Africa but only the Karoo offers the combination of geology, geography, history and lifestyle that is unique. We hope that this site will encourage more people to explore the Karoo to discover its beauty, interests, wildlife and above all the hospitality of its people. Uniondale Tourism announced that you can now do the Toorwaterpoort hike which is now officially open to the public. Bookings at the Tourism Office, Uniondale. Lowlands Country House, Fish River (near Cradock) is hosting a Karoo birding course at from 4th to 6th May with highly competent and experienced guides Lynette Rudman and Jo Balmer. This is an ideal weekend getaway with a spouse or friends learning more about our abundant bird life, enjoying the company of others with similar interests and savouring mouth watering Karoo farm food. 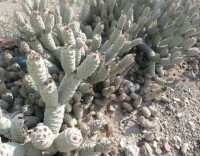 SANBI’s BID has initiated a project to assess the invasiveness of these species and a management plan is in progress. Initial surveys conducted by the team have revealed new populations in the Eastern Cape. Celebrating all that is genuine and delicious in the cuisine of this legendary big-sky region, the festival offers visitors an opportunity to meet the artisan makers, experience new flavour combinations, buy farm pantry treats, gather recipes and ideas, dine and party until late. For everyone who loves reading, writing & the Karoo - Meet remarkable writers at this marketplace of ideas. The programme is stacked with new books, stimulating encounters, new friends, readings, a kombuis konsert, fireside chats and delicious Karoo food served at historic venues, all within strolling distance of one another. 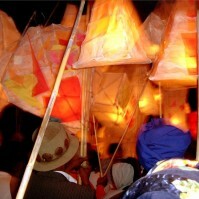 The annual National Arts Festival in Makhanda Grahamstown, South Africa, is Africa's largest and most colourful arts & culture festival and the third largest of its kind in the world.